Professor Mike Parker Pearson and his team have been awarded a further £800,000 grant to discover exactly how the people who built Stonehenge lived, what they ate and where they came from. 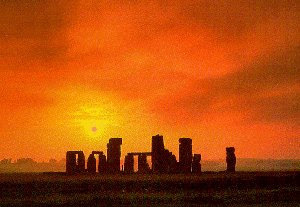 The research team from the Department of Archaeology at the University of Sheffield will study how at the time of the Winter Solstice, Stone Age people would have needed to have brought livestock with them to Stonehenge to feed on. Initial research suggests the animals were brought considerable distances to this ceremonial site at this time of year. Funded by the Arts and Humanities Research Council (AHRC) as part of their annual large grants research scheme, this new project, entitled `Feeding Stonehenge´, will allow the team to answer some key questions about Stonehenge over the next three years. The team will develop their research further by analysing the bones of the cows slaughtered in the area 4,500 years ago to calculate where the cattle had been moved from to give a better guide of where the people had travelled from to visit the site. In addition, the archaeologists will aim to gain a better understanding of the dressing of the sarsen stones, study how the public and private spaces at Durrington Walls differ from each other and establish in which season animals were culled at Stonehenge and Durrington Walls. The grant forms one of 34 major research grants made by the AHRC in 2009 to projects that will help further our understanding of human culture and creativity. It was awarded following the already revolutionary Stonehenge Riverside project, also led by Professor Mike Parker Pearson, which strengthened the idea that nearby Durrington Walls was part of the Stonehenge complex. The large collection of cattle jaws collected during the last few years of excavations will now undergo strontium and sulphur isotope analysis to establish where they came from. The newest project will now see the archaeologists study the material resources required for building Stonehenge and the other henge complexes of Wessex. In addition, the team will try and ascertain whether Britain´s Copper Age started 50 years earlier than first thought. Circumstantial evidence points to copper tools being in use at Durrington Walls earlier than previously calculated. Cut-marks on animal bones should reveal whether they were made by copper daggers as opposed to flint tools. 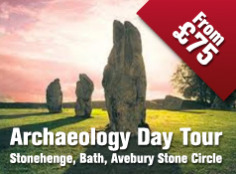 Professor Mike Parker Pearson from the Department of Archaeology at the University of Sheffied, said: "The Stonehenge Riverside Project's results were well beyond anyone's expectations - archaeologists and general public alike. 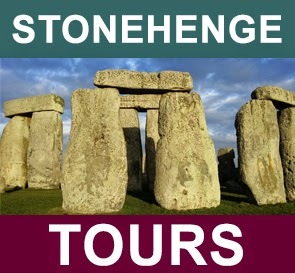 It has allowed us to completely re-write the story of Stonehenge. One of the unforseen outcomes is the vast quantity of new material - flint tools, animal bones, pottery, plant remains, survey data, and chemical samples - which now needs analysing. "The new grant from the AHRC for the 'Feeding Stonehenge' project allows us to get the maximum information out of this unexpected wealth of remains. We are going to know so much about the lives of the people who built Stonehenge - how they lived, what they ate, where they came from. The AHRC's grants have been crucial for helping us find out more about one of the world's most important prehistoric monuments. They have enabled the project to develop in directions which could not possibly be predicted when we started digging." In early September the AHRC spent a day visiting the 2009 excavation near Stonehenge and interviewing the research team. A short video podcast is now online that offers viewers an insight in to the scale of the excavations undertaken during 2009.